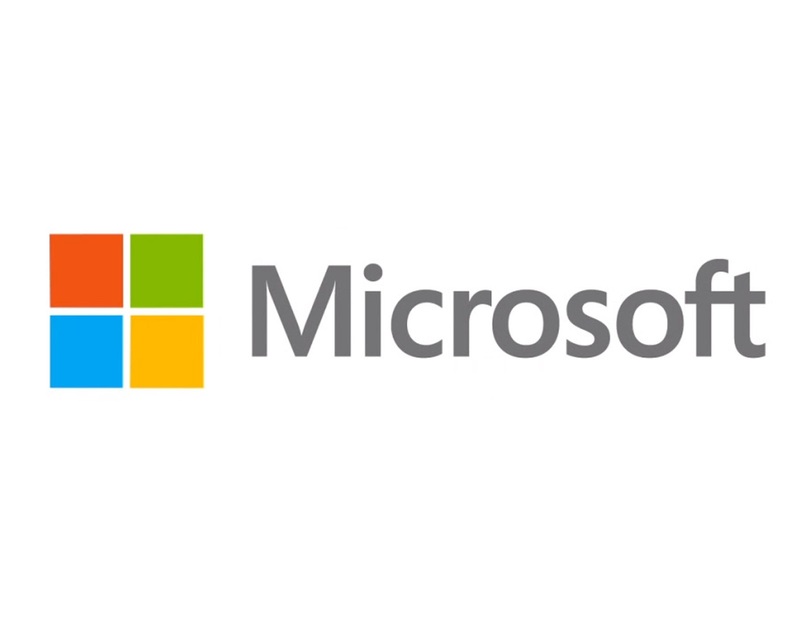 As E3 kicked off in Los Angeles many fans and gamers prepared to witness the next step in the evolution of gaming, and it all started with Microsoft's press conference. The Microsoft press conference actually surprised many of the audience at E3, including myself. They showed off some pretty cool looking games and had me almost thinking they could revive themselves. Almost. Metal Gear Solid V jumped onto the screen, kicking things off. I personally can't wait for this game which looks more mature, and is now an open world espionage action game. The game looks great however showing it off along with the Xbox One seemed strange. This was then followed by another multi-platformer in Dark Souls 2, which is again strange as the game series started on PlayStation, but this could mean that DSII will be getting next-gen ports (hopefully). Then the Xbox exclusives got rolled out, and they look good! There will obviously be a new Halo game but that's not all. Ryse was also announced, a hack and slash game by Crytek (makers of Crysis 3) in which the player takes command of a Roman army as soldier Marius Titus. Titanfall was also revealed. This game looks fun to play online as players can jump into giant machines to hunt down their enemies as well as utilise other robotic means in order to destroy the competition. Other games shown included Project Spark; a creation action-adventure game and Killer Instinct; a Tekken/Street Fighter type game which also presented the new Twitch TV feature to the Xbox. 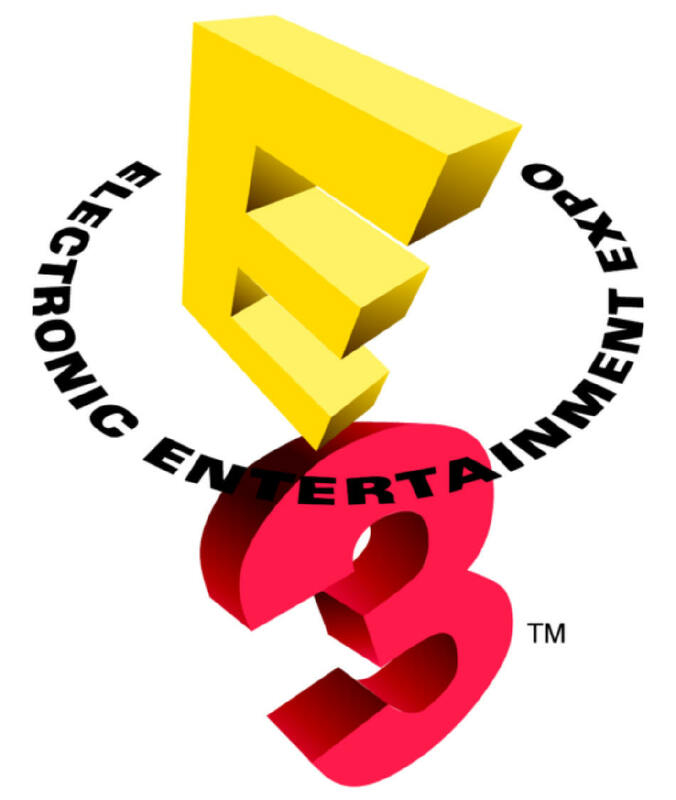 Zombie game Dead Rising 3 will also be exclusive to Xbox One. 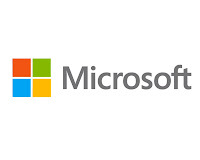 Dead Rising will also make use of Microsoft's 'Smart Glass'. Then the bad news, (on top of Xbox One not supporting used-games and having to be online once every 24 hours) the Xbox One will cost $499 (£429). The system will be released this November. Then it was EA's turn. There wasn't much to report apart from their partnership with Xbox and a few games coming to the new consoles. Their games included Battlefield 4, Titanfall, Fifa 14, Madden 25 and NBA Live 14 and Mirror's Edge 2. The Ubisoft conference was pretty epic. The French giants unleashed a wide variety of games at their press conference, hosted by Aisha Tyler. Sam Fisher returns in a next generation version Tom Clancy's Splinter Cell, along with Assassin's Creed 4: Black Flag and the highly anticipated Watchdogs. These were followed by a new Rayman game and South Park: The Stick of Truth. Two new titles The Crew and (Tom Clancy's) The Division were also announced and gameplay was revealed. The Crew resembles fast and furious, in that you and a team of racers must work together to complete tasks in a vast world and face off against rival gangs, whereas The Division is an open-world RPG where a group of teammates need to fight for survival. Nintendo presented their new releases for the coming year: Super Mario 3D World, Mario Kart 8, Super Smash Bros Wii U, 3DS Donkey Kong: Tropical Freeze and Legend of Zelda: A Link Between Worlds. Then the moment I was waiting for, the Sony Press Conference, and it delivered. Sony were keen to show of the PlayStation 4 and it's features before showing games. So here it is - the Sony PlayStation 4 complete with DuelShock 4 and the new PS eye camera. Firstly the PS4 will have 'super-charged' PC architecture, X86 CPU, enhanced PC CPG, 8GB unified memory and a local storage HDD. The PS4 will also have Cloud capabilities, game sharing via share button, instant play resumption, background downloading while playing, cross-game chat, a PS social media community and a feature that will enable you to take command of the controller to help stuck friends remotely. It was then revealed that they are going in the opposite direction of Microsoft, they are supporting and making it easier for indie developers to make games for the PS4. A sample of these games included the fun, goofy looking game Octodad. Other games on show included exclusive Killzone Shadow Fall, Destiny, Infamous Second Son, Watchdogs, Batman Arkham Origins, Assassins Creed 4, Elder Scrolls Online and a PlayStation version of Diablo 3. Sony then received an ovation from the audience when they stated that the PlayStation 4 will support used games and will not have any restrictions, however a PlayStation Plus account will be required now in order to play online. The PlayStation 4 will go on sale "This holiday season" starting from $399 (£349). 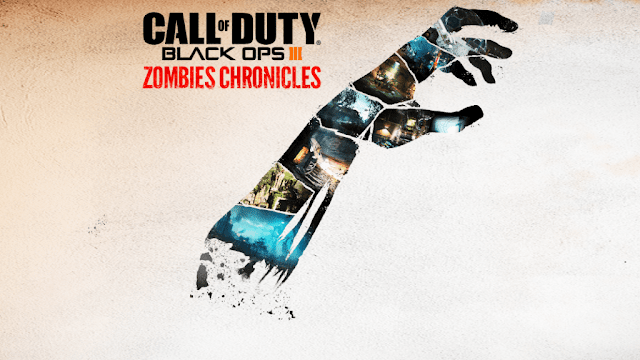 Nearly two years after releasing, Black Ops 3 has received new DLC; Zombies Chronicles. Fetch me their souls… Nacht der Untoten. The original Zombies map that was never intended to release, and was simply an Easter Egg that players received upon completing the World at War Campaign. There was no official Activision backing, and assets had to be reused (men on fire were used to create shambling zombies). There was also no voice acting, although it has now been implemented for Zombies Chronicles. There is no way that Treyarch could’ve predicted that their passion project would turn into a staple of the series, one which Call of Duty: WW2 developer Sledgehammer Games is keeping for their upcoming title. Reach for Juggernog tonight! Zombies has come so far as to now become a whole other beast, a spin-off from the main game, with Treyarch even implementing Zombies into the Campaign and Multiplayer of Black Ops 3. 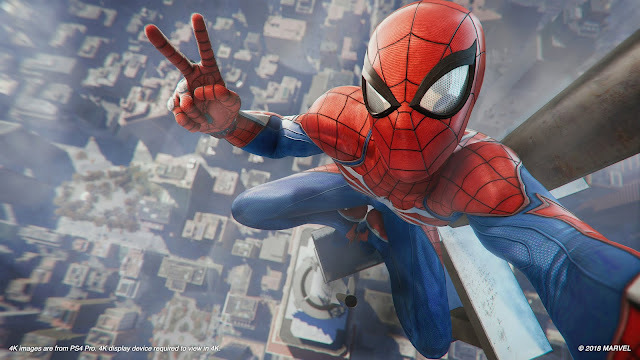 Insomniac, the studio behind hits Ratchet & Clank and Resistance, return with some of their best work to date in Marvel’s Spider-Man. There’s one thing that all Spider-Man games share in common, though some do it better than others, and that’s web-swinging. Prior to Insomniac’s latest release, Spider-Man 2 (PS2) did this best, but what that game lacked in atmosphere, Marvel’s Spider-Man has in droves. From the Avengers-esque music that kicks in as soon as the player leaps into the air, to the bustling city streets below, there’s just something special about touring Manhattan in style, swinging from the skyscrapers of the Financial District, to the trees of Central Park, to the apartment blocks of Hell’s Kitchen, in the crisp clarity of PlayStation 4. Ubisoft studio Ivory Tower is back with their latest racing title, The Crew 2, an ambitious racer spanning the whole of North America. 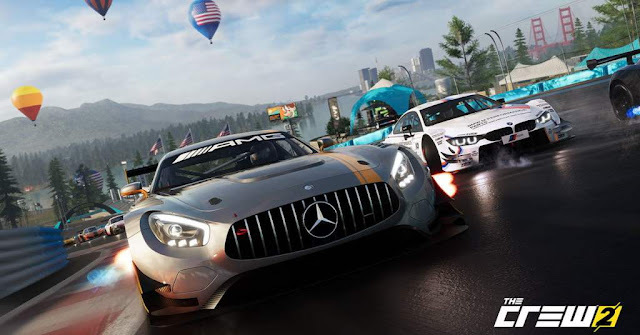 The Crew 2 follows the career progression of a rookie driver, as they try and make a name for themselves in the racing world, by simply winning races. They are able to do this via racing production company LIVE, who broadcast every second to the public.